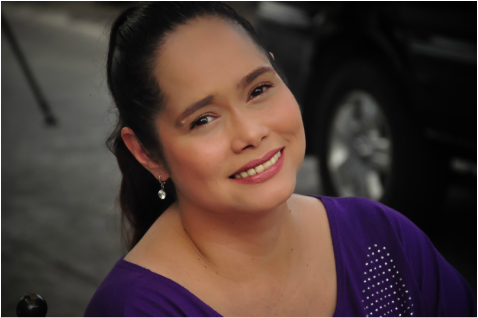 Born Yoraidyl Diaz Stone on the 10th of August 1966 in Cebu City to Lydia Diaz, a native of Bacolod and Roy Stone, a foreign national from the United Kingdom. I personally designed this site with the sole purpose of letting everyone know things about me. A lot of misconceptions about me have been formed through the years. Some because of assumptions, some because of incomplete and unreliable columns written in newspapers, magazines, and websites. This site will touch the different aspects of my life. It will also have a page discussing my most intimate relationships throughout the years and how each one left a mark in my life. It will also discuss different turning points in my life, trials, victories, achievements, and crossroads. If there is anything you still want to know that none of the pages seem to answer, please send me an email: lykaugarte888@gmail.com, and I would be happy to answer them for you. You will find a tab that says comments and that is where you will find my answer to your question. Forgive me, if I am not able to answer them right away. Be rest assured that I will eventually answer them. 50 Years Metamorphosis from lyka ugarte on Vimeo.